When space is at a premium in your office, the Zebra ZXP Series 3 Dual-Sided ID Card Printer takes up the smallest desktop area possible. 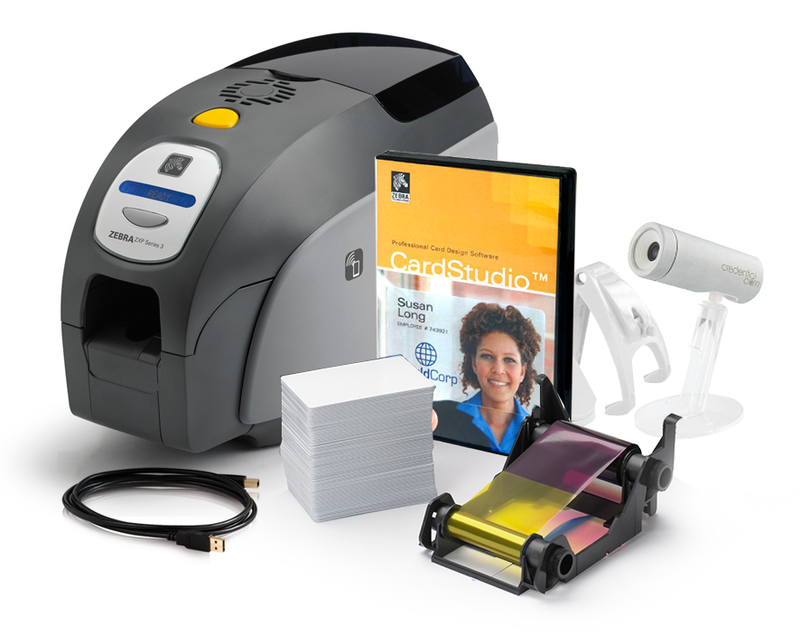 Whether you need a card printer for small office installation or need to deploy multiple card printers in several locations, the Zebra ZXP Series 3 Dual-Sided ID Card Printer is up to the task. The Zebra ZXP Series 3 Dual-Sided ID Card Printer features Print Touch technology to connect your smartphone or tablet for additional printer information and data with a single touch. Just hold any NFC enabled smartphone or tablet up to the Zebra Print Touch logo on the printer and you have instant access to specific printer information and Zebra’s extensive ZXP Series 3 knowledge base. You won’t need advanced technical support or even complicated user training to operate the Zebra ZXP Series 3 Dual-Sided ID Card Printer. You also get the quick-replace Load-N-Go smart ribbons that auto-calibrate and are eco-friendly, using less plastic and more biodegradable material than other brands. And a 16-character LCD operator control display makes using it a breeze. The Zebra ZXP Series 3 Dual-Sided ID Card Printer is covered by a 2-year warranty on the printer and printhead.